Researchers tend to have a genuine scientific curiosity and desire to make the world better with their discoveries. They are often thrilled about laboratory experiments and preclinical studies, regardless of their outcomes. However, one big problem in scientific research is that there are only rewards for publishing “positive” outcomes. Most studies with questionable outcomes never make it to peer-reviewed journals. In addition, the journey to publication can be a tortuous one. Scientific discoveries are disseminated too slowly. Researchers struggle to publish their discoveries, and even when they submit to journals, they typically face a lengthy wait that can include peer reviewers’ requests for edits. Journals typically publish preclinical studies and raw data within 18 to 24 months—or never. Another challenge in the scientific community is that researchers lack openness and transparency. Pharma researchers typically operate in silos, as they are often wary of losing their intellectual property. Fortunately, blockchain can mitigate many of these frustrations that pharma researchers experience. Here are a few ways that blockchain can make the jobs of pharma researchers easier. Today, most researchers depend on peer-reviewed journals to safeguard their IP. There is no guarantee that research data shared in another form will be used with attribution. Therefore, pharma researchers embracing collaboration face the big challenge of protecting their intellectual property rights while collaborating with peers across companies. Blockchain could power platforms for sharing real-time research findings in a secure way. Blockchain technology can create immutable time and ownership stamps on every document a researcher uploads. It also allows researchers to maintain ownership of their data as they securely license it for use by other researchers and institutions. Researchers will know who is using their findings and when they are being used, and they can also make sure that they are credited for their work. Publication bias happens when the results of a study influence whether the study will be published. Journals prefer not to report research findings from unsuccessful or failed studies. Unfortunately, about 25 to 50% of clinical trials never make it to publication in peer-reviewed journals. Historically, publication bias has decreased researchers’ enthusiasm to publish unfavourable results. If you are a researcher, you might spend months running an experiment only to have it fail. Despite the fact that your work generates insights, you will not be rewarded for or credited with those insights if a journal rejects your work. Moreover, publication bias trains researchers to focus more on studies that portray positive results and not negative ones. The World Health Organization (WHO) attempted to provide a solution for publication bias in 2015 by calling for all major findings to be reported within 12 months of study completion, and for all unreported results, including negative findings, to be reported. Blockchain can reward researchers who take risks to publish their negative findings. Since blockchain can secure IP and provide an avenue for sharing unpublished data, it could give researchers a way to publicise the insights gleaned from failed experiments. Furthermore, blockchain allows researchers to be compensated by licensing the use of their research findings. Therefore, blockchain has the potential to decrease researchers’ worries about taking risks and failing, as they would still benefit from failed experiments. Today, pharma researchers increasingly achieve drug discovery using a more collaborative, peer-to-peer, decentralised system. Blockchain gives researchers a way to share raw data and insights that are both transparent and secure, which encourages collaboration among scientists. When pharma researchers are more confident about the security of their IP rights, they will be more willing to share insights with colleagues in other institutions. Furthermore, sharing studies in real time can prevent the time lag typically seen when researchers have to wait for a journal to publish their studies. Using blockchain could even save lives as real-time data solves problems and improves research methods. The world needs more researchers who are willing to take big risks by putting their discoveries out there. For decades, inefficiencies in the pharmaceutical industry have prevented researchers from sharing their insights in real time. Most researchers prefer to safeguard their IP by only publishing their insights in high-impact journals. 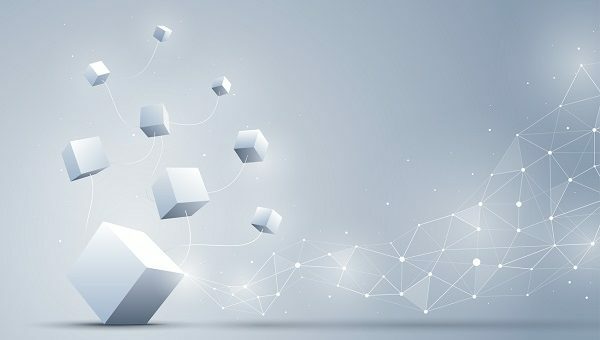 Blockchain technology could be the solution for mitigating many of the frustrations that pharma researchers experience. In a single view, blockchain could enable researchers to collaborate using unpublished data, thereby saving time, cost, and, ultimately, lives. Lawrence Ganti is CEO \ Americas of Innoplexus an artificial intelligence-based data analytics firm specialising in the life sciences. Prior to joining Innoplexus, Lawrence spent 15 years leading teams across functions and geographies in the pharmaceutical industry. 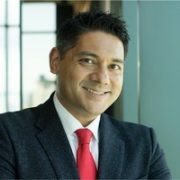 He also worked as a research associate for McKinsey & Company and holds an MBA from IMD in Switzerland and a bachelors from Babson College in the United States.